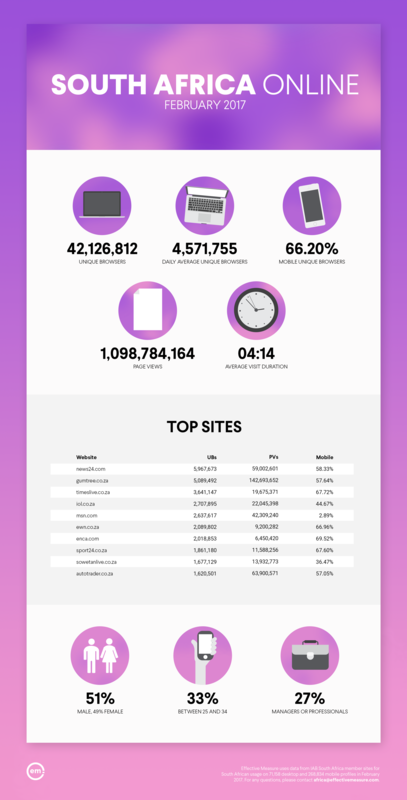 In February 2017’s South Africa Online infographic, we cover the online audience for the country and the top sites by unique browsers. Congratulations to News24, Gumtree and Times LIVE for topping the charts last month. Compared to last month, unique browsers, daily average unique browsers and average visit duration have all increased. The gender split remains the same and the majority of South Africans online are below 35 years of age.